Later this year, a revised Passive Safety Standard – EN 12767:2019 will be published. Some of the changes in the revision include the way in which existing and new passive products are required to be classified, affecting how they should be specified. Electrical connections are also considered. In particular, the changes between the old performance class recommendations specified in EN 12767:2007 and those contained within EN 12767:2019 are that rather than just three required parts to the classification, (Speed, energy absorption and occupant safety) there will now be a further four additional classes. (Backfill type, collapse mode, direction of impact and risk of roof indentation). These additions may also affect where and when some existing products should be used. Designers, managers and specifiers are invited to a Passive Safety Workshop to learn about the new standard to know how to specify both existing and new products for particular situations in future. The workshop is supported by Highways England and endorsed by The Institute of Highways Engineers. A full days CPD credit is provided as a result. A buffet lunch is also provided. Whether you are very familiar with passive safety design but need updating as a result of the new standard or would just like to learn the basics, you can do so by attending this event on 25th June at the National Conference Centre – Birmingham (Just off the M42 – J4). The Passive Safety Workshop will be integrated with an exhibition of passive products and experts from manufacturers and suppliers will be on hand to explain how their products will be able to be used. To help designers, a comprehensive listing of available products and their updated classifications (where known) will also be provided. Places are limited so please book early to avoid disappointment. 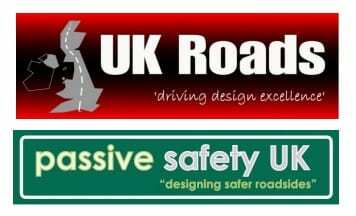 Please contact info@ukroadsltd.com for further information or to book your place(s). The workshop will take place on 25th June in Birmingham. Attendees should arrive for Tea/Coffee from 10.00 with the workshop commencing at 10.30. Lunch is at 12.30 with the afternoon session from 13.30 until 15.30. An exhibition of passive safety products will be on display throughout the day. The cost to delegates is £125.00 + VAT. A 20% reduction (£100.00 + VAT) is available to all types of IHE membership.